Get this cute interchangeable necklace for a youthful look, made in 18k solid gold and adorned with hand-painted enamel star and genuine freshwater pearl, for a sweet touch finish. 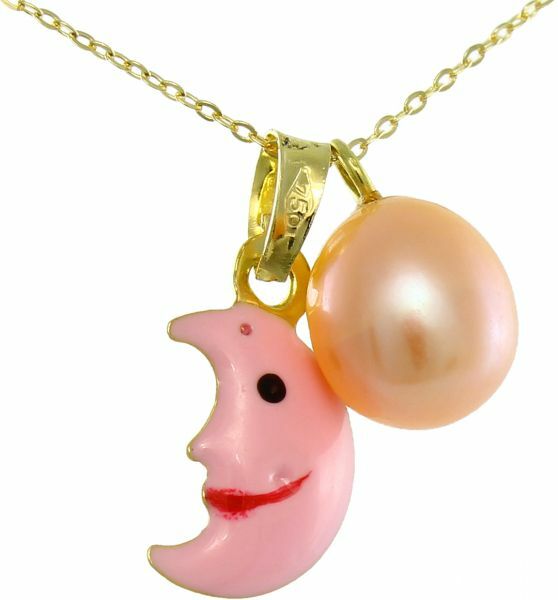 Features 1x7mm genuine pearl (fancy natural shape with visible natural characteristics), multicolored enamel with solid 18k yellow gold pendant and chain. Natural pearl colors may vary from peach to orange and pink.